Guy Gonzales was born and raised in San Diego, California where he began his music career, and through music, met his wife of 33 years, Lynette. 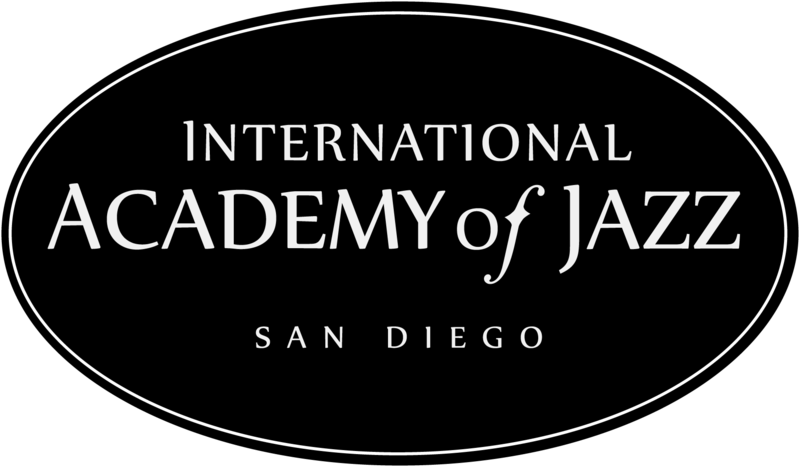 They raised 3 children in San Diego while Guy developed a career in Advertising Sales with Cox Communications and then, re-tooling his skills, became a Financial Advisor (for the last 15 years) from which he recently retired to focus on building the nonprofit, after-school program called The International Academy of Jazz – San Diego. 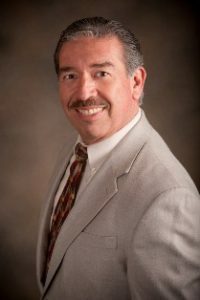 Guy’s business involvements have included various Chambers of Commerce’s including the Del Mar Chamber and the Regional San Diego Chamber.In the nonprofit world, Guy has served as a Director with the El Cajon Rotary, The East County Chamber of Commerce and the San Diego Young Artist’s Symphony (now The Mainly Mozart Youth Orchestra). As an officer he has served as Treasurer for The Foundation for Grossmont and Cuyamaca Colleges. He has also served on fund-raising committees for The Juvenile Diabetes Foundation and Rady’s Children’s Hospital. As a musician Guy has played with internationally acclaimed jazz artists including; Sonny Rollins, Larry Coryell, and Claire Fisher. He has also played for many celebrities including a former US President. Guy has had the distinction of performing on the KPBS award-winning music program called “Three Generations of the Blues” featuring blues legend Big Mama Thornton. He has also recorded with local Jazz artists including The Bruce Cameron Quintet, The Carlos Angeles Band, as well as Mark Hunter and, the late, Carl Evans from Fattburger. Guy continues to perform in Southern California with his Gypsy Jazz trio called The Gypsy Swing Cats. Derek Cannon is a San Diego based professional musician and educator, a versatile musician at home performing a variety of musical styles from jazz, Latin, funk, soul, R&B, reggae and rock. Currently, Derek serves as the Music Department Chair and Director of Jazz Studies at Grossmont College. He has also chaired the Jazz Studies Department at Chicago State University (from 1995-1999), and is currently a member of the jazz studio faculty at San Diego State University. He holds a bachelor’s degree in Music Education, and a master’s in Jazz Studies from San Diego State University. During his time at SDSU, he won many soloist awards at jazz festivals throughout the state. Derek regularly performs with a host of San Diego based groups and recently completed a five and a half year stint as a member of the Anthology House Band. Nationally, he has maintained an active performing career with Natalie Cole, Clark Terry, Jon Faddis, the Spinners, Lou Rawls, the Four Tops, the Temptations, and his childhood friend, Walter Beasley, to name a few. As a BMI affiliated composer Derek has also written and produced music for several recording artists in the Chicago area. In 2002, Derek was elected to the prestigious Who’s Who Among America’s Teachers. Dr. Gianzero is deeply committed to improving educational outcomes for inner-city youth. 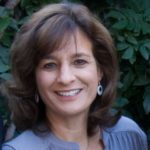 Since 2012, Dr. Gianzero has led DEEP by bringing partner organizations together in a variety of research-guided collaborative efforts focused on ensuring that children in southeast San Diego public schools are successful as they move along the education pipeline from cradle to college and career. Her deep commitment to early literacy led to her appointment to the board of directors for the San Diego Council on Literacy. Dr. Gianzero also served for ten years as Executive Coach and Research Associate with the National Center for Urban School Transformation (NCUST) based at San Diego State University. She led many of NCUST’s evaluation teams in identifying high-performing urban schools across the nation. In her capacity as an Executive Coach, she guided networks of principals in reflecting upon their work and provided individual coaching for principals interested in replicating best practices in their own schools. Successful business owner and songstress, Lynette Gonzales has had a wide variety of experiences pursuing her childhood passions; family, cosmetology and music. 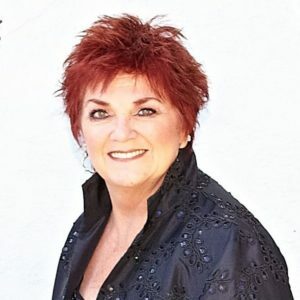 While raising three children, she sang in many venues throughout San Diego County, as well as owned and operated a successful salon. A dedicated business woman, she also opened her own jewelry business featuring genuine American Indian-handcrafted silver and turquoise jewelry. Now retired from her business ventures, Lynette enjoys time with her family and sings as much as possible. Musically, her career includes co-leading two of San Diego’s top convention-market bands called Guideline and Lynette and The Corvettz. She has either sung with, or has been on the same show as, Frankie Laine, Neil Sedaka, The Shirelles and Jimmie and Jeanie Cheatham. She has performed at all the top-level venues including; The SD Convention Center, The Marriott, The Hilton Mission Bay, The Sheraton Harbor Island, to name a few. Locally she has performed in bands alongside San Diego jazz standouts; Jaime Valle, Jason Scheff (Chicago), Benny Hollmans Big Band, Jack Cotanzo, John Rekevics, Tony Ortega and The Bill Green Big Band. Her list of vocal role models includes; Frank Sinatra, Gladys Knight, Patti Austin and Bonnie Raitt. Her voice has been described as a cross between Etta James and Bonnie Raitt. She resides in San Diego, with her husband, Guy, and dog, Molly. 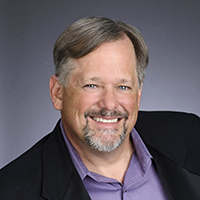 Steve Merriam currently directs the Business Communication Program at San Diego State University, and since 2002, has taught in SDSU’s Professional Writing program, specializing in corporate and foundation grant writing for nonprofits. As a committed faculty member, he has also served as an adviser for the Qualcomm Social Internship Program at SDSU’s Entrepreneurial Management Center, where he directed projects with such partners as the San Diego Symphony, Volunteer San Diego and the San Diego Foundation. In 2009, he co-authored The San Diego Homeless Court Service Provider’s Toolkit for the American Bar Association’s Commission on Homelessness and Poverty. Steve received his doctorate from Purdue University; his thesis explored the relationship between modern and contemporary American poetry and painting. He has worked in several record stores, is a young but avid double-bassist, and has become, with his wife Kathy and their dog Chai, an unrepentant Francophile.